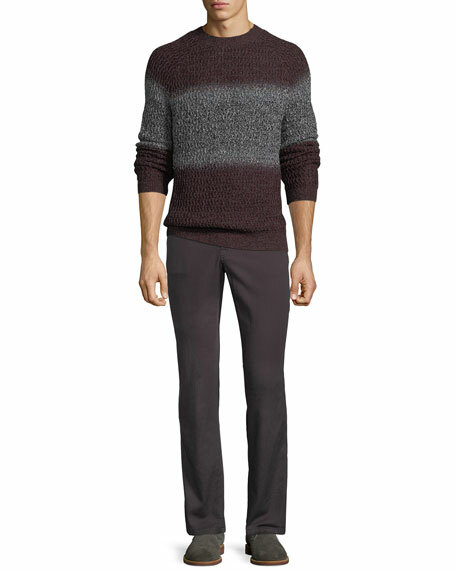 AG Adriano Goldschmied "Everett" fit pants in stretch-twill. Five-pocket style; signature stitching at back pockets. Leather logo patch at back waist. Skinny fit; tapered legs. Button/zip fly; belt loops. Cotton/spandex. Imported.